War – the act of destroying, to create a history written by the winner. There are those that believe this to be the ultimate truth to progress- and then there is Muzoon. War struck, and forced to flee a life of comfort and great prospects; this is the story of a Syrian girl whose refugee backpack had books rather than her favorite personals or survival aids. The 19-year-old Muzoon recollects the day things went south for her. 2013 was exceptionally tough for the then 13-year-old, as war changed her approach to everyday living. She says the constant threat of death for 2 years; through a violent bombing or shoot-out, was horrid to endure- until the fateful day of her escape. Her family suffered enough and her father arranged for their movement out of Syria into a refugee camp in Jordan. A noteworthy anecdote through this harrowing trip was Muzoon being questioned by her father as to why her backpack was so heavy. Her reply being, “I packed all my schoolbooks”. It is determination such as this that inspires the world to change and believe in it. 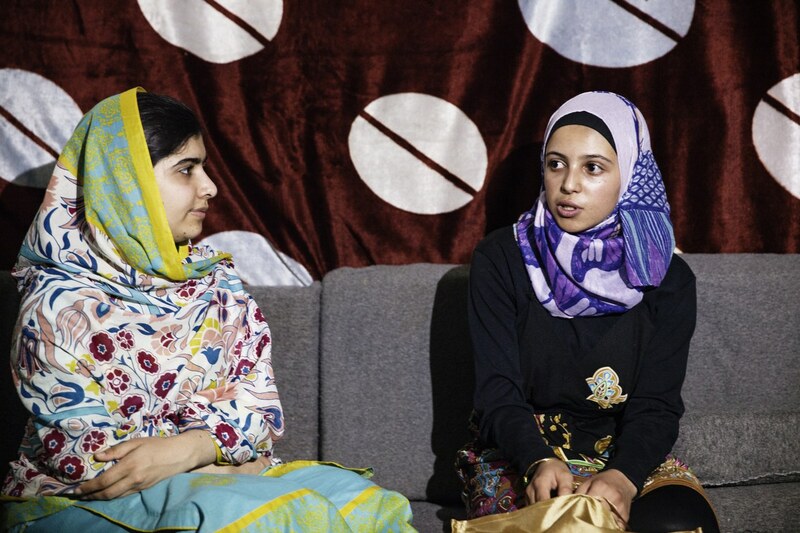 13-year-old Muzoon held her belief ;in the midst of an escape from the war, that all would be lost without education. 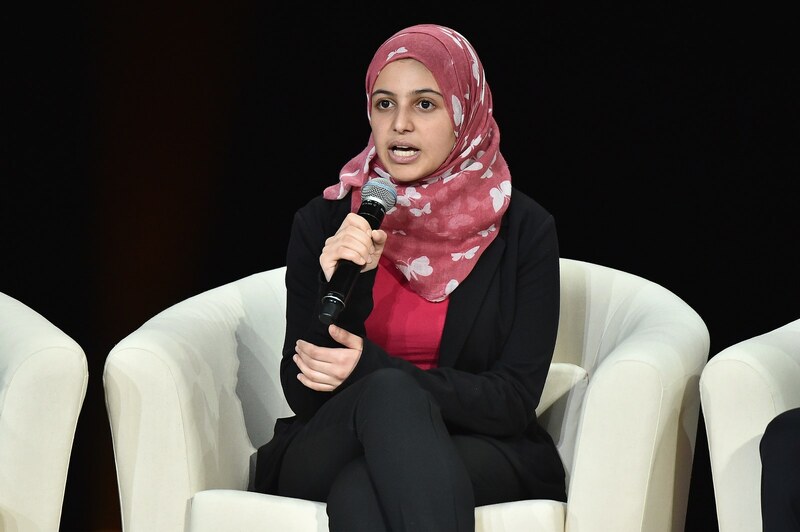 Upon successfully securing refuge in this camp- Muzoon was first to look for the nearest educational facility to further her studies, and she did. It came to a surprise to her that from all the other children she’d met in her days there, not many would attend. Upon further investigation, she learned that the parents were the ones holding them back- and furthermore; the young girls were being married off to the older men for protection. This sparked the latent activist in her and she took it upon herself to change the narrative in that camp. As the days passed, Muzoon spent her time after class going into tents encouraging parents to get their children in school. She insisted that education was the only protection anyone would ever need and the future of a rebuilt Syria would depend on their children. It was clear that her enlightenment and foresight was a great tool that aided her mission and this piqued the interest of organizations like UNICEF. Multiple organizations reached out to her and gave her a larger audience to reach. Before she knew it, she was travelling to Chad in Central Africa- advocating the right of education being denied to the girls . She has also spoken on international podiums such as the United Nations General Assembly and the G20 Summit. 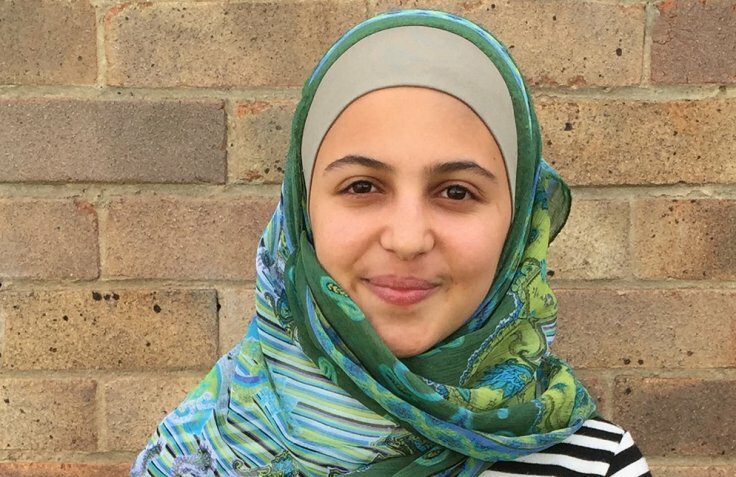 Muzoon is now seen as the Malala of Syria and is honoured to be compared to a hero such as her. She believes that we all have a voice and that voice should be used to make a difference- a huge world-changing difference. The world is ever grateful for revolutionaries such as Muzoon Almellehan.